As autumn slowly fades, there are very few outdoor activities still left to be enjoyed as the weather grows chillier by the day. 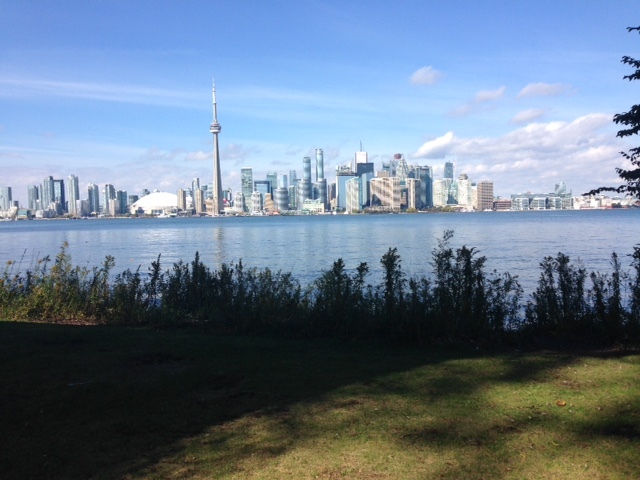 I had the pleasure to go explore the Toronto Islands on a beautiful fall Sunday sans crowds. The Toronto Islands provide the perfect oasis from hectic downtown living and are extremely accessible by ferry or water taxi –it is the perfect outdoor activity for a crisp, fall day. While sun-worshippers swarm the beaches of Toronto Island during the summer months, I really enjoyed the slower and calmer pace during the off-season. During September and October, the fall foliage and serene waters are a picturesque site for a picnic or bike ride. The possibilities are endless of what to do in the Toronto Islands; one can spend an entire day just exploring the island’s historical sites by foot or bike but if you are truly adventurous, check out my friend’s Shannon’s blog on stand-up paddle boarding at Paddlewagon! The highlight of my walk and hike through Toronto Island was savoring a coffee and cake at the Rectory Café. The quaint café has a sprawling outdoor patio with a fantastic view of Lake Ontario. Great place to unwind and it feels like you’re in another city!